FESPA Mexico 2018 will take place this week from the 20th – 22nd September 2018 at the Centro Citibanamex in Mexico City, this special edition of the exhibition promises to be the best yet. 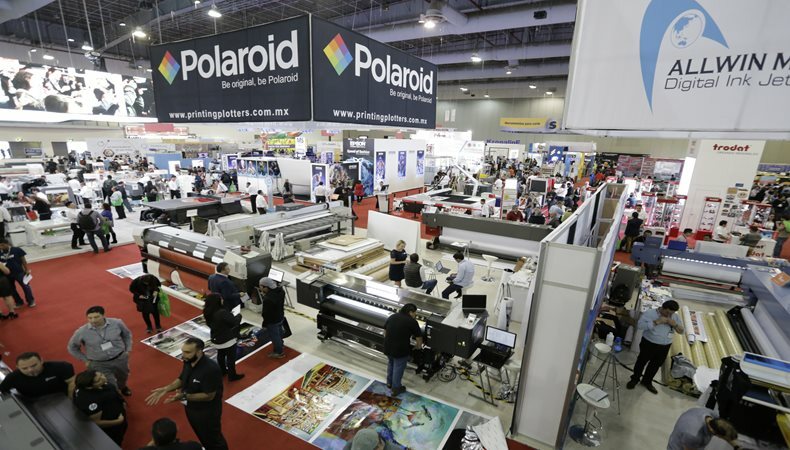 FESPA Mexico 2018 will feature additional floor space to accommodate the rapidly growing show. This will be the 11th edition of the annual FESPA Mexico show and will feature over 150 international leading brands with an increase of 30% in size compared to last year’s show. It will focus on digital wide format, screen printing, garment decoration, signage, print finishing, software and 3D printing sectors. The show will take place from the 20th – 22nd September 2018, at the Centro Citibanamex Center, Thursday 20th from 12.00 - 20.00, Friday 21st 12.00 - 20.00 and Saturday 22nd from 11:00 - 19:00. The show will feature new product launches, live state-of-the-art demonstrations, free technical and practical seminars, networking opportunities and the chance to discover market trends for 2018 – 2019. Attendees will be able to evaluate and purchase new equipment and products. Several of the world’s top suppliers from the wide format printing industry will launch exclusive products at FESPA Mexico 2018. HP, Roland, Epson and Agfa will have their largest ever presence on the show floor at this year’s show. For more information on FESPA Mexico, the companies that will exhibit and to sign up to attend as a visitor, please use promo code MEXG801 and visit: www.fespamexico.com.